MIK is an open platform using the latest technologies that harnesses the user’s data to enable advanced portfolio/fund management. 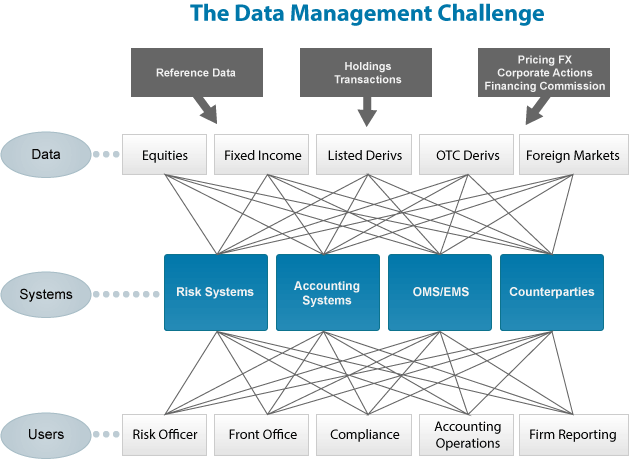 It aggregates data from any data source (OMS, Accounting, Risk, Brokers, Internal, XLS, Reference Data Providers etc) transforming, enriching and producing meaningful information, analysis and action relevant to each firms exacting requirements. 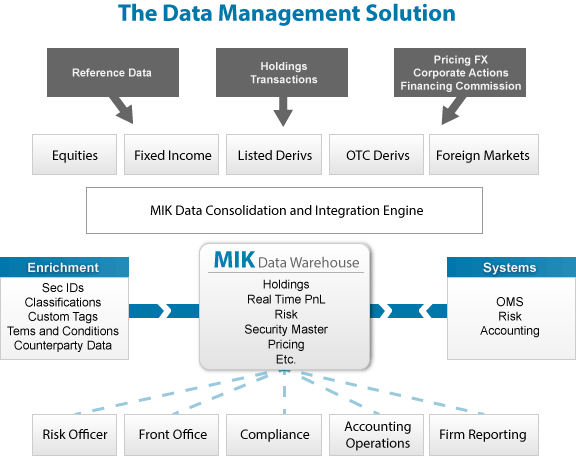 MIK does the heavy lifting, allowing the user to focus on decision making and running efficient investment operations. When possible, MIK integrates with third parties to easily allow additional functionality. Our platform allows for easy integration with leading third-party applications. MIK is the only platform that accommodates all the activities of portfolio/fund management, and ensures that data reconciles and consistent across them. It ties together disparate sources with a firm’s investment thesis and presents that data for advanced analysis, reporting and action.